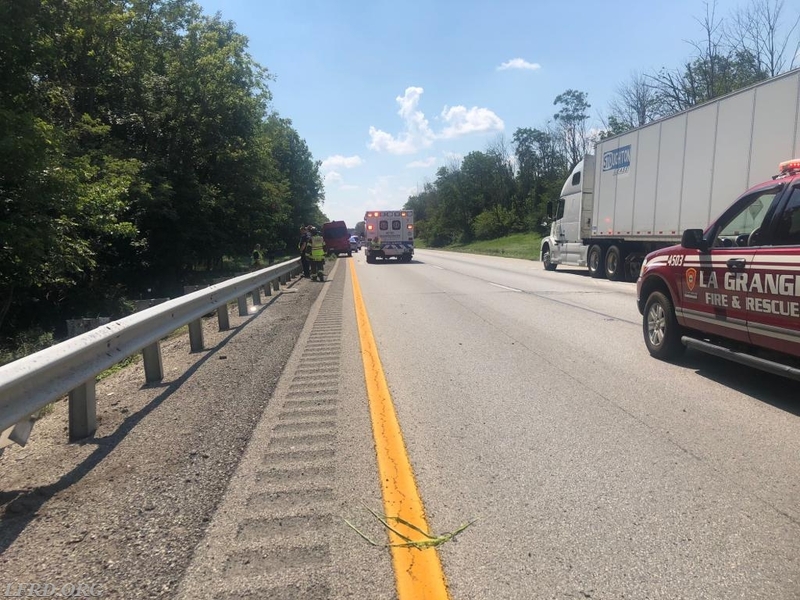 On 7-25-18 at 15:39 La Grange Fire and Rescue, along with Oldham County EMS, and Oldham County Police were dispatched to a possible injury accident on I-71 southbound at the 19 mile marker. 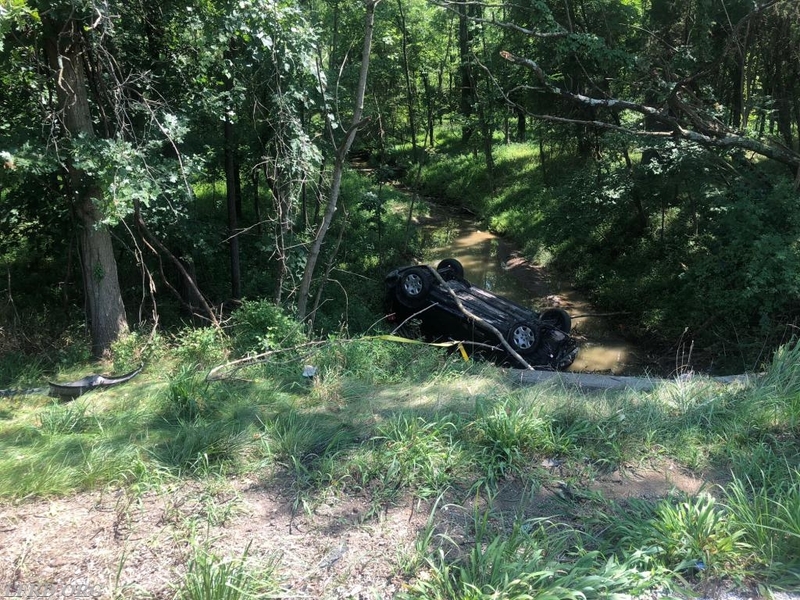 Police arrived on scene and advised fire department and EMS that the vehicle is in the median, rolled over in the creek. 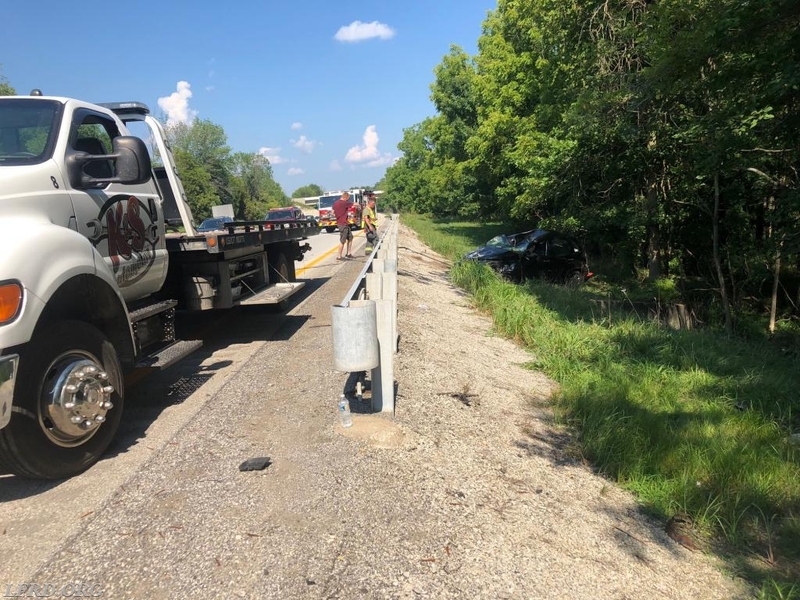 Car 4503 , Engine 4534, and Engine 4535 arrived on scene to one patient out of the vehicle. Engine 4534's crew assisted EMS in patient care. 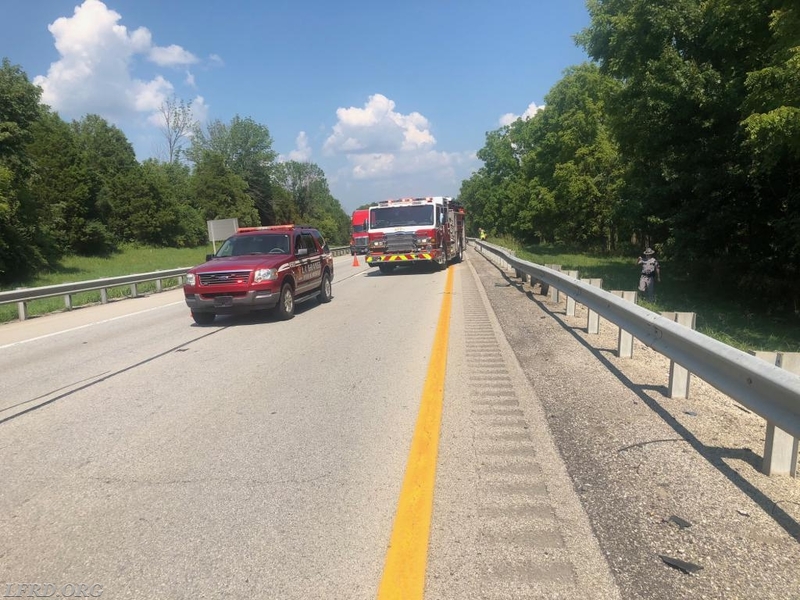 Fire department remained on scene to assist with traffic control while the vehicle was recovered. 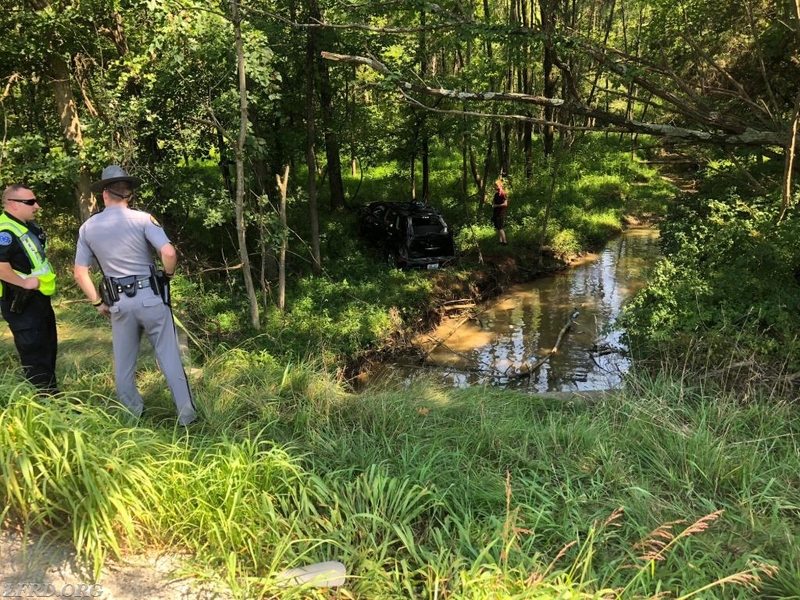 Special thanks to K&S Automotive and Towing for a swift response and recovery of the vehicle.